ECA offers both 20 and 40 kHz sonic welding services. Parts of similar material can be joined together without the use of hardware or fasteners to give you a clean and strong joint. 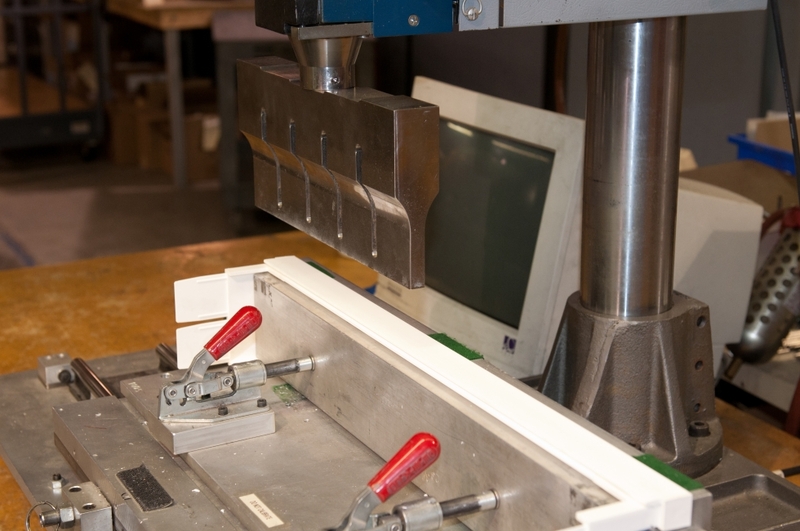 Ultrasonic welding uses high-frequency ultrasonic acoustic vibrations that are locally applied to workpieces being held together under pressure to create a solid-state weld. 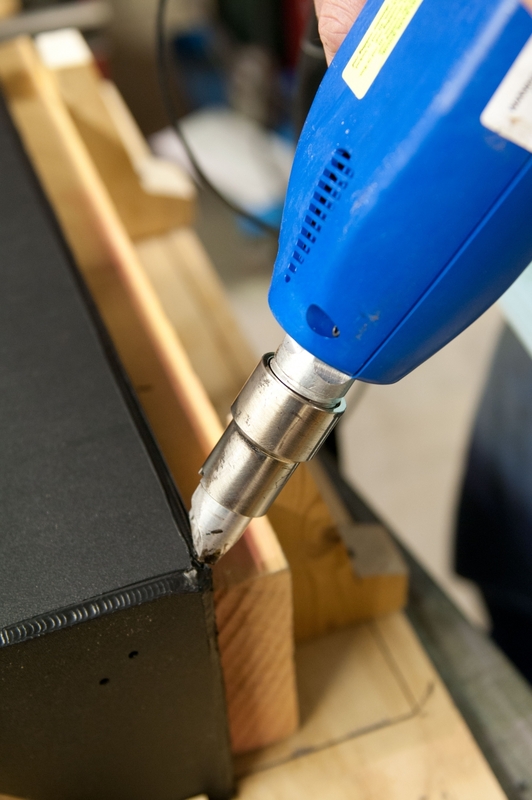 There are no connective bolts, nails, soldering materials or adhesives needed to bind the materials together. Our servo driven sonic welding equipment provides the latest technology for demanding applications in the medical, automotive and electronics industries. Orientation control plastic spin weld equipment allows ECA to provide spin-welded assemblies to our customers with critical tolerance requirements. Our plastic spin weld equipment can hold orientation tolerances to +/- 1 degree. Common applications include fittings that are installed on blow or rotationally molded parts that need a water-tight seal. Spin welding is a friction welding technique used on thermoplastic materials, in which the parts to be welded are heated by friction. ECA has injection welding equipment that is used in large or low volume plastic applications and achieves similar results as MIG welding in metal. 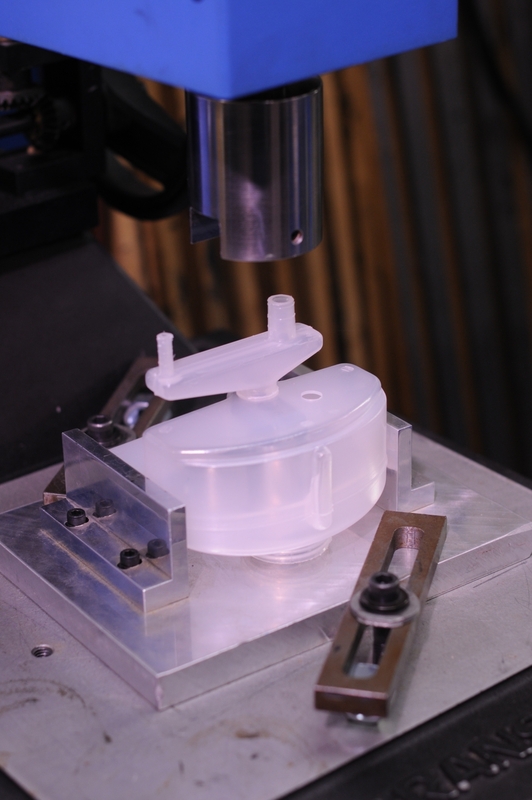 This process yields strong bonds on materials such as PE, PP, ABS and polycarbonate.